A Seaside Retreat. . . It's summer on the Jersey Shore. Children play on the beach. Husbands are off working in the city. And the surf echoes in the night. Here, in this perfect place, a serial killer has no worries in the world--except choosing the next victim. . .
Has Just Become. . .
Cam Hastings has come to Long Beach Island with her teenage daughter and the hope that maybe she can save her failed marriage. Cam has never stopped loving her husband Mike nor has she been able to outrun her flaws and demons--a vanished mother, a lost sister, and the ugly visions she has of missing children. . .
A Killer's Favorite Playground. . .
Now, Cam is about to step over the edge. For once, she will act on one of her visions--and then face the consequences. For a killer has just struck again. And for Cam, and the people she loves most, fear has come home for good. 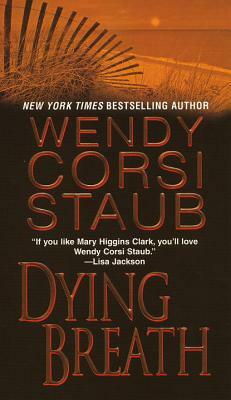 . .
Wendy Corsi Staub is the author of more than ten novels of suspense, including the New York Times bestsellers Dying Breath, Don't Scream, Most Likely to Die, The Final Victim, and She Loves Me Not. Readers can visit her website at wendycorsistaub.com.